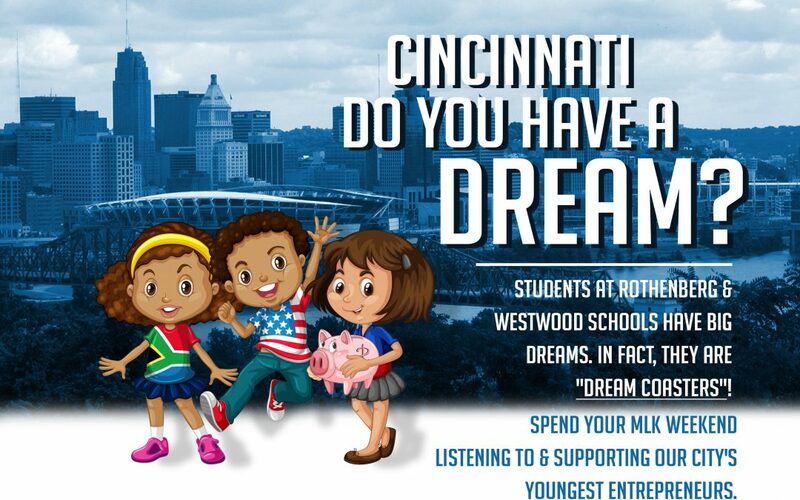 Two Cincinnati Public Schools, Rothenberg Academy and Westwood Elementary, were chosen last year to focus on Student Enterprise within the district’s Vision 2020 Plan. As part of that plan, Cincinnati Public Schools partnered with MORTAR and the University of Cincinnati to develop a curriculum and applicable exercises for students in 5th and 6th grade. Ahead of their first venture into retail, Rothenberg Academy principal Amber Simpson had this to say about some of the most valuable lessons learned about entrepreneurship: “Students have been able to grow in their knowledge of the economy and meeting the growing and changing needs of consumers. They have also gained confidence in public speaking and working in cooperative groups. 100% of the money will go into a Dream Fund, which will help support additional student enterprise projects at these schools. Sets of the coasters will be on sale for $15. 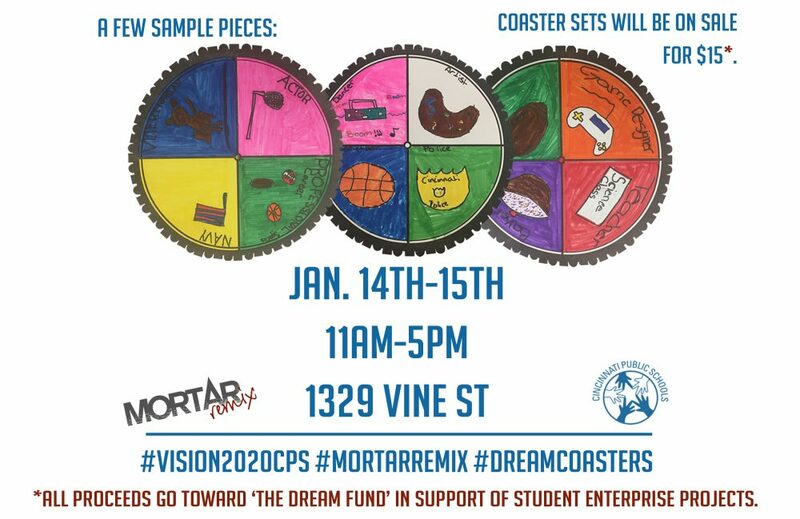 The Dream Coasters Pop Up Shop will take place this weekend inside of the MORTAR office located at 1329 Vine Street, in the heart of Over-The- Rhine.